This Pretty Postage menu features an authentic postage design with postmark stamps at the top that will immediately capture your guests' attention. 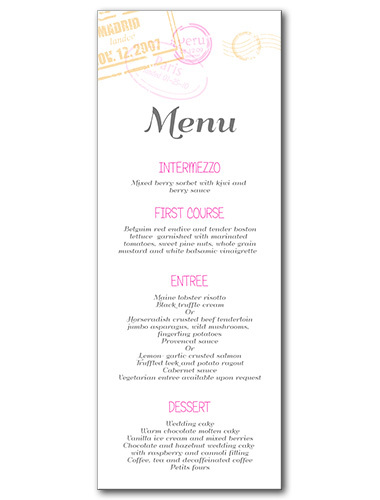 Personalize with your menu selection and choice of wedding font and give your guests a menu to remember. Pretty Postage Menu For the best experience, we recommend personalizing your stationery on a desktop computer.